Every once an a while, an opportunity comes along to get a great deal on the trip of your dreams! See our current deals, discounts and special trips below. 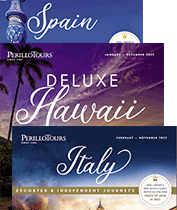 Want an easy way to save $200 per couple on any of our tours? Just send us a check for your deposit and subsequent payments on your trip! Note: All payments for the tour must be made by check in order to receive the discount. Speak to one of our representatives for more information.